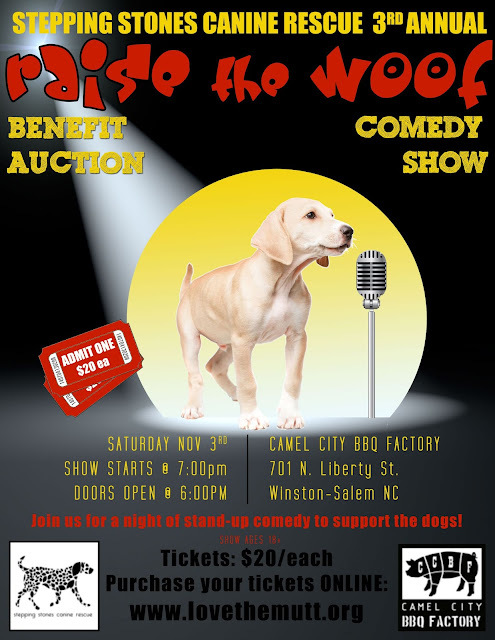 November 3, Raise the Woof Comedy Show! at our 3rd Annual Raise the Woof Comedy Show! Reserve your seat on the Comedy Show Ticket tab! We've got new dogs galore, and they are cute, cute, CUTE! 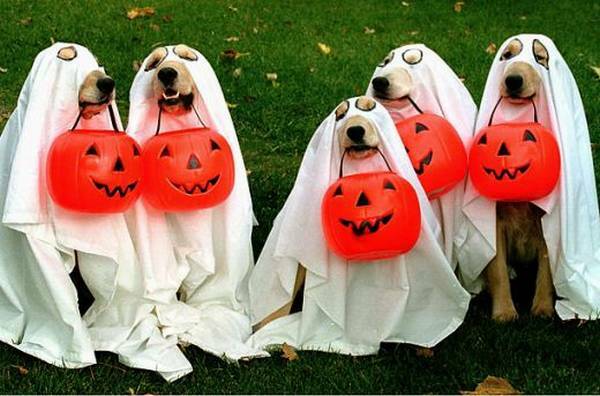 October 20, Howl-O-Ween and Adoption Fair! Costume Contest at 2 pm! Open to the public! We would love to see SS alumni pups there! WS Pride Festival and Parade! Stepping Stones is proud to be part of an inclusive community in Winston-Salem! Join us at our booth at WS Pride on October 13th to meet our newest litter and our other adoptable dogs! Booth will be located on Trade Street, near the corner of 6th Street. afterwards around noon with the adoptable dogs. Have you adopted a dog from Stepping Stones? Want to show them off? register to walk your pup with us on Saturday! October 6, Blessing of the Animals and Adoption Fair! 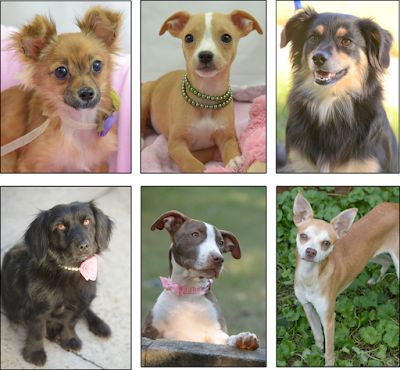 Adoptable dogs Keke, Malibu, Princess Bubblegum, Sasha, Penny, Butterfly, Willa, and will be on site during this time! If you are interested in any other dog on our website, please send us an email about meeting them!